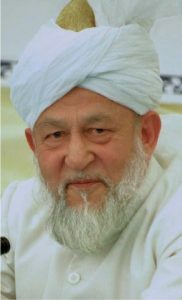 On April 3rd, 1987 His Holiness, Hadhrat Mirza Tahir Ahmad, the fourth Caliph of the Ahmadiyya Muslim Community; proposed to his community to dedicate their children to the cause of Islam before their birth. The Community has enthusiastically received this initiative from its inception, it can be ascertained from the fact that 20,515 children are now (year 2000/2001) enrolled into this project and increasing by the day. There are 14,259 boys and 6256 girls. Waqfe Nau children are taught world languages like Spanish, German, French at a special languages training school set up for this purpose in Rabwah. Large groups of children from various cities of Pakistan pay regular visits to Rabwah and are introduced to the institutions of the Movement. In Guyana, some of our members are blessed to be a part of this scheme. Guyana currently has 9 girls and 6 boys enrolled in this scheme. Some of these devotees have once again devoted themselves for the cause of Islam after reaching the age of 16.